For Love Factually, I interviewed hundreds of strangers, from the ages of 8 to 95 in more than 40 countries on every continent, asking them to share their most personal stories, feelings, and insights about love and relationships. 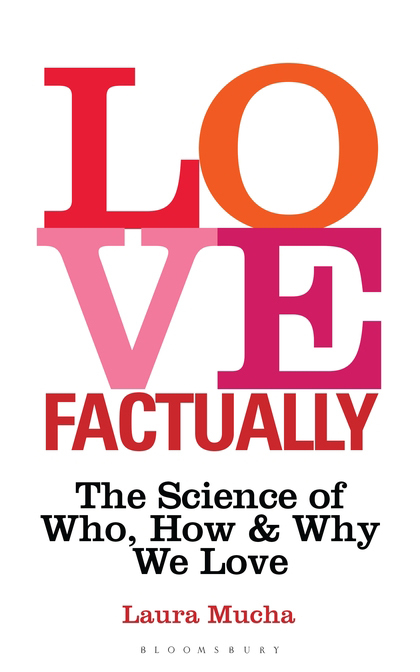 Drawing on psychology, philosophy, anthropology and statistics, Love Factually is the perfect read for anyone who is curious about how we think, feel and behave when it comes to love. I speak to Tim Lovejoy and Simon Rimmer about the science of love on Channel 4's Sunday Brunch. Poetry Ireland feature me alongside Jackie Kay as one of eight poets on the Dublin overground. I speak to Jenni Murray on BBC Radio 4's Woman's Hour about Love Factually.